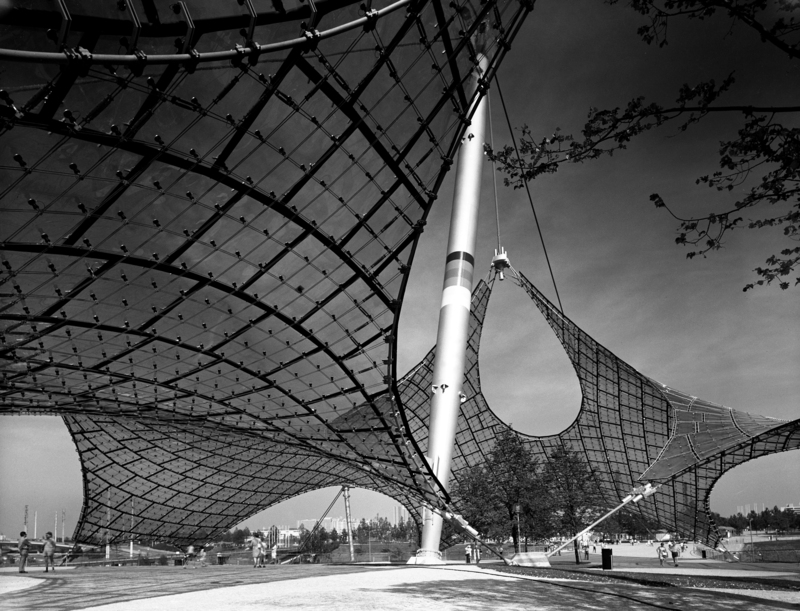 Sigrid Neubert (*1927) is one of Germany’s most renowned architectural photographers. In the past six decades, she has produced aesthetic images of modern buildings and urban landscapes. Later, Neubert was also interested in nature photography while creating poetic, partly mystical imagery. 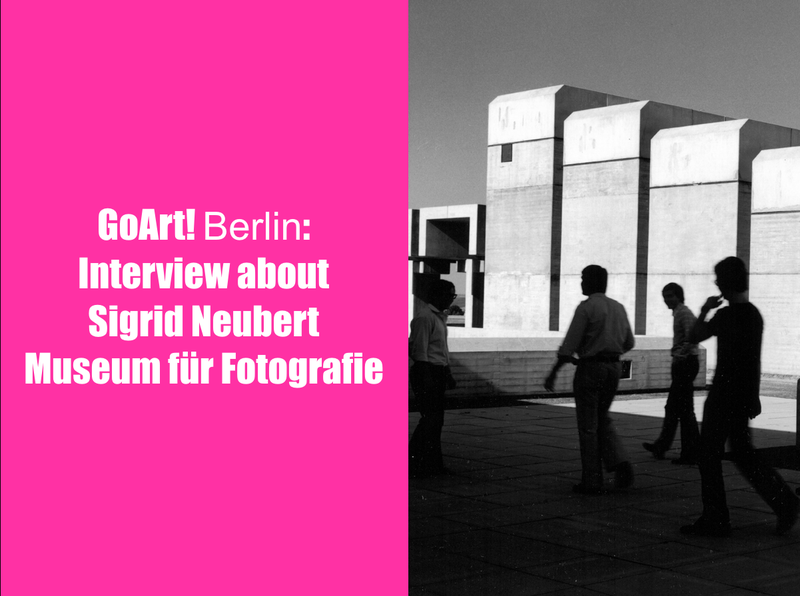 A selection of works by Sigrid Neubert is currently on display in the Museum für Fotografie (Museum of Photography) of the Staatliche Museen zu Berlin . The exhibition runs until June 3rd, 2018. 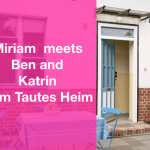 Miriam Bers talked to the two curators of the exhibition – the head of the photography collection of the Kunstbibliothek (Art Library) Dr. Ludger Derenthal, and the architect and art historian Dr. Frank Seehausen. MB: Mr. Derenthal, according to which criteria do you create your program? LD: In the Museum of Photography we present the whole history of this important visual medium from its beginning in the middle of the 19th century to the present day, often in thematic exhibitions and with works from our collection. 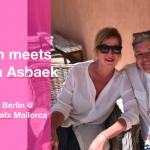 MB: How did the current cooperation with you and Frank Seehausen come about? LD: We were very fortunate to have the opportunity to compile a representative selection from the comprehensive archive of Sigrid Neubert and incorporate the works into our collection. Therefore it was our aspiration to create an exhibition that involves her complete oeuvre – landscape and architectural photography. We curated the exhibition together: I was responsible for the nature part and Frank Seehausen, who also wrote the book about Sigrid Neubert’s architectural photography that will soon be published by Hirmer, took care of the architecture section. MB: The current exhibition with works by Sigrid Neubert summarized in four keywords? FS: The architectural photography is presented in four thematic chapters as the core of Neubert’s lifework with manifold references to her free work. We aim to encourage visitors to search for points of view, motives, similarities and differences. Archival material and, above all, architectural drawings make the dialogue between the photographer and the architects comprehensible. LD: Talking about the landscape photography, two aspects are important to me: Sigrid Neubert has used photography both as a medium of expressing emotions as well as a medium for the development of a unique design vocabulary which together form a very instructive contrast. FS: In her architectural photography, Neubert has increasingly distanced herself from the US influences of the 1950s and gradually developed her own formal and content-related approach by carefully working out not only the plasticity of the buildings, but also the interaction of the buildings with the environment and its residents. 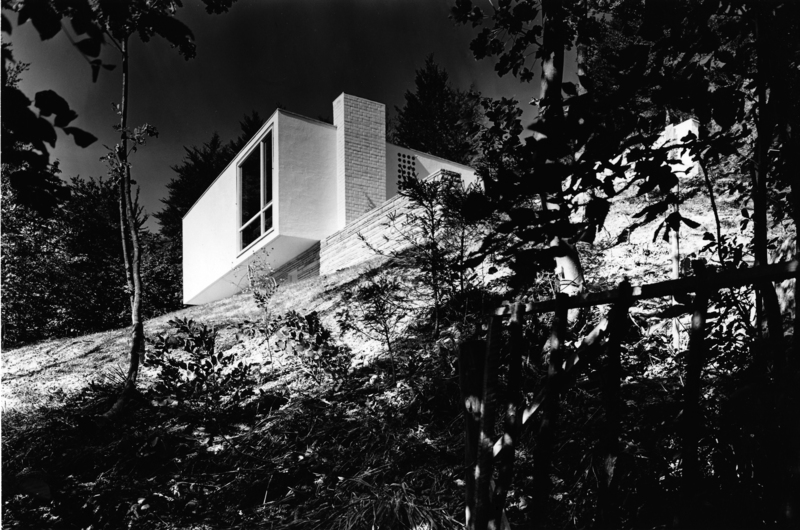 In comparison, we also show works by Julius Shulman, who influenced Neubert in the 1950s. MB: Architectural photography can be very elaborate. Which techniques did Sigrid Neubert apply? Did she work in a team? FS: Neubert mostly worked on her own utilizing only a few facilities. For more than 30 years, she used a field camera and preferred to shoot in black and white on 9×12 glass negatives until the 1970s. This generated particularly high-contrast images in perfect technical quality. 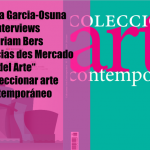 However, these harsh contrasts – that were characteristics of her work – were not only stylistic device but should also compensate the poor print quality of many architecture magazines. For Neubert it was important to enter an intensive dialogue with the buildings, which in a sense, she regarded as the representative of the architect’s personality. 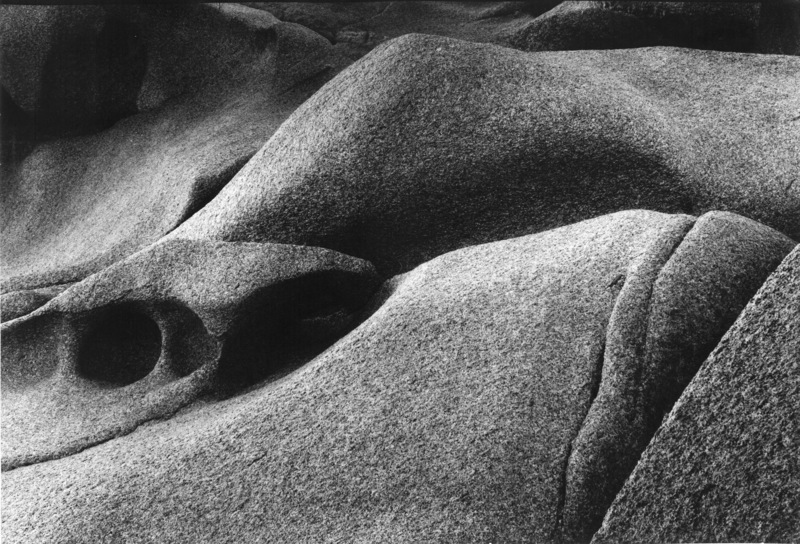 MB: The current exhibition also includes landscape photography – atmospheric interpretations of the same – that the artist has focused on over the last few decades. How do you explain her dedication to nature? LD: After many years of producing commission works for architects and magazines, Sigrid Neubert has created her own field of artistic impact. She has always worked in thematic categories, working on some topics for decades. This shows how intensively she has thought about the medium of photography and its possibilities. MB: Last but not least a question to you, as the two curators of the exhibition: What kind of photography can be found in your living room? LD: A lightbox with a black-and-white photograph of Reiner Leist showing the skyline of New York. 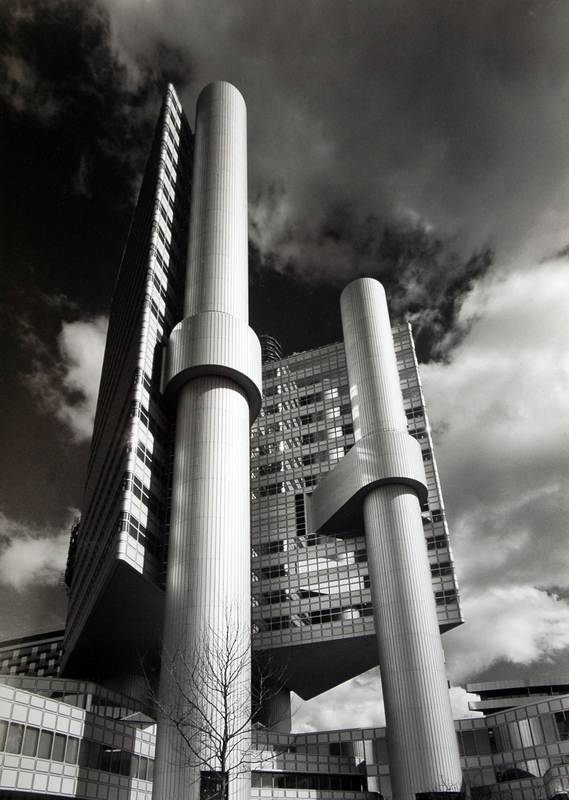 FS: An architectural photograph by Franz Lazi from Stuttgart produced in 1950. 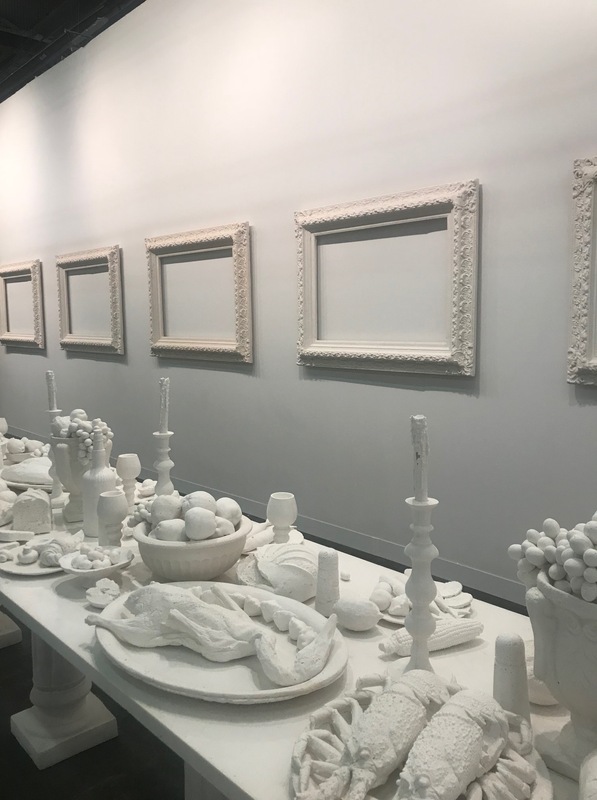 2018 Armory Show presented itself with a clear layout and less galleries than within the last years and was therefore very pleasant to visit. Up from the welcoming and uncomplicated New Yorker handling of invitations for the specialist audience and collectors who arrived from all over the world, the whole setting of the fair was extremely well organized. The layout of the booths with in between enough space for sculptural works, a great light design, bright carpeting and centrally located bars and lounges were not only photogenic but made the visitor feel very comfortable. 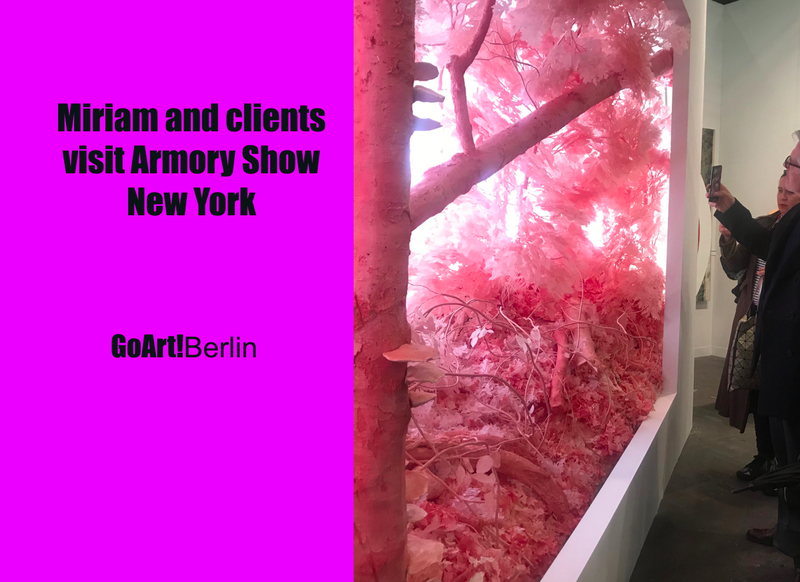 Armory is – like Frieze and Art Basel – one of the most important sales fairs and does not claim an overall overview of all contemporary art trends. On the contrary it communicates an idea of the sophisticated “must haves” of the new season. 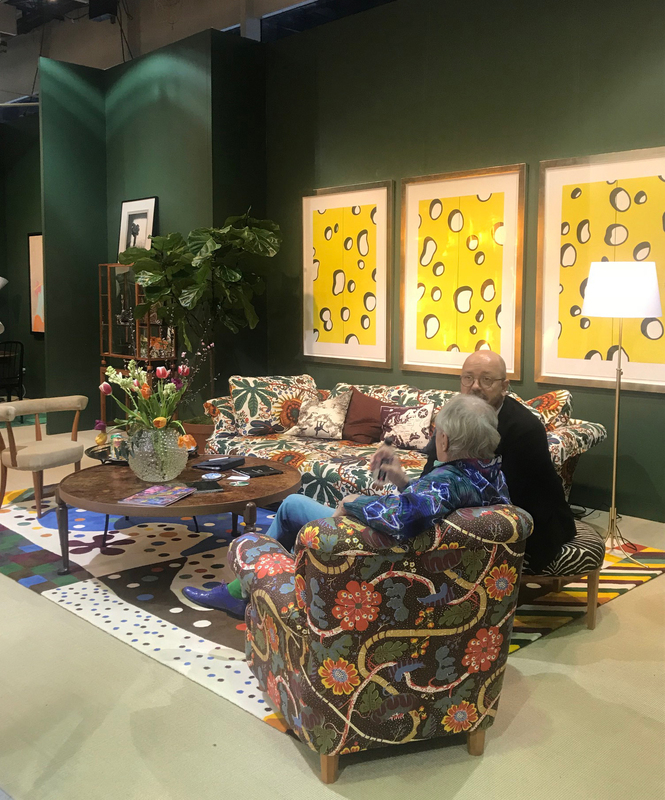 Lots of excellent art works from the 50s to the 70s such as small Gerhard Richter pieces (each over 600.000 Dollars), Cy Twombly’s, a huge Nam Jun Paik installation at Gagosian and beautiful David Hockney’s made modern art collectors’ hearts beat faster. Some of the curated booth designs we liked were the ones of Wetterling (Stockholm, among others showing works of Jim Dine, photo left), Marianne Boesky Gallery (New York, with works of Hannah van Bart and Hans Op de Beek) and Mizuma Art Gallery (Tokyo, showing works by Japanese – Australian duo Ken + Julia Yonetani photo above). However the curated parts such as Focus and Platform/The Contingent also exhibited relevant contemporary art pieces against a political background. Very spectacular was the mural of the well-known French urban artist JR – a huge photo work presented by the Armory Show, Artsy and Deitch Projects- So Close mounted at the Armory buildings’ façade facing Ellis Island – which 12 million immigrants and refugees had passed between 1892 and 1954. 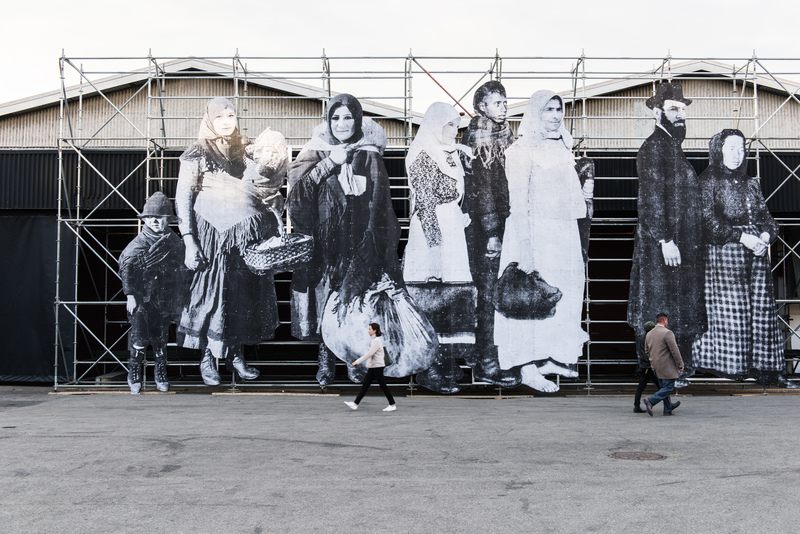 It shows a vision of immigrants in a line, created with templates of old photographic Archive material of The Ellis Island Museum of Immigration and recently by JR taken pictures of Syrian refugee camps. 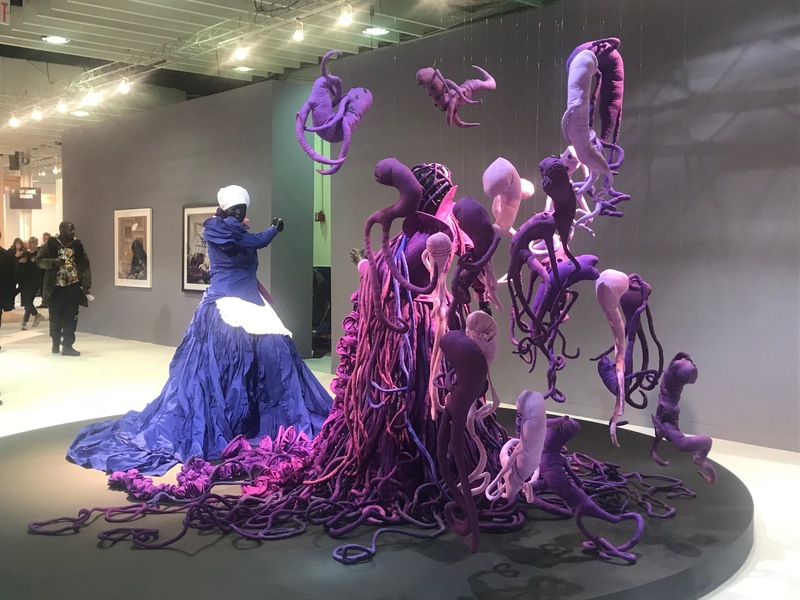 Another eye-catching position was Cry Havoc by young South African artist Mary Sibande (gallery MOMO from Johannesburg and Cape Town, photo left) addressing women’s power boiling over. Last but not least and a discovery at least from a European point of view in the Focus section were the notable powerful collages, textiles and prints of the 1938 in the U.S. born Afro-American artist Emma Amos (at Ryan Lee Gallery, New York), working on gender, racial and geographical perspectives.